An interactive lecture/business video is a powerful combination of an interactive, rich media presentation with informative video lesson. For businesses, video presentations establish and promote your brand much easier, using a valuable lead-generating asset that drives traffic to your website. With the ubiquity of online video, the convenience factor is always there as long as your customer’s phone is charged and they’re paid up on the data plan! Live events now have permanence they’ve never had before. Videos are especially effective when used for capturing one -time-only events saved for posterity. Let’s say you’re good at promotion and you normally attract 800 people to an event, about half the invite list. Another 800 people cannot attend for a variety of reasons. With presentation video, you can reach all 1,600 people. Now, your event has a more complete reach when you allow those “no shows” to DVR the event, the same way they record a favorite weekday TV show and watch it on the weekend. 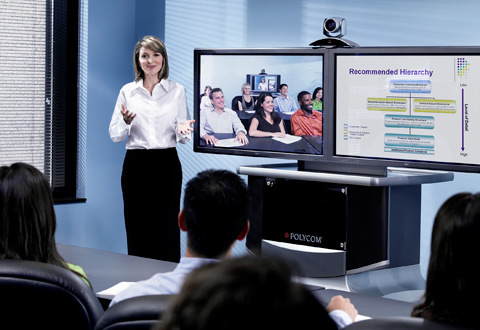 Businesses have also recognized the many perks of video presentations. Take client testimonials as an example. You can build engagement and increase website traffic in ways never before possible. In these client testimonials, live video capture is able to preserve the interactivity of your session, the questions and answers, facial expressions and body language that are at the emotional heart of human communication. Plus, this live-event footage can be paused, or viewed numerous times for even greater emphasis. It lives on the Internet for as long as you want it to. Sharing emergency and back-up procedures during a severe storm or power outage. Missed the board meeting? No problem. Stranded in Chicago during a snowstorm for the team meeting? No problem. Are you a new employee, located in a faraway state or another country? Welcome aboard! With professional editing and production values like television-quality audio and titles, your branded videos will be clear, concise and compelling, both useful and entertaining. Thanks to instant Internet access, your customers, prospects, colleagues and employees are never more than a “push Play” button away from your message. There are now multiple channels available, and you can easily post it on the social media of your choice (Facebook, twitter, Google +, LinkedIn, and most prominently YouTube). Teachers love the ease of using video. Distance learning is now a breeze. It’s much easier for students these days, because they can attend class any time of day, including four o’clock in the morning, as long as there’s Wi-Fi access. When travel budgets are limited, video is perfect to keep up with industry trends and tune in to “best practice” seminars at professional conferences. The power of a television studio is now yours, at prices that used to be prohibitive, with all the cameras and studio equipment. At In Focus Studios, we keep up with all the elements and value-adds that go into your video. They always say, “measure twice, cut once” and that’s especially true in the world of video presentations. The In Focus Studios methodology of planning, attention to details and professionalism makes all the difference. That’s why we’re known throughout North Carolina for our exceptional work. So, pick from the menu items and let’s get started.